Nice spring evening, …. 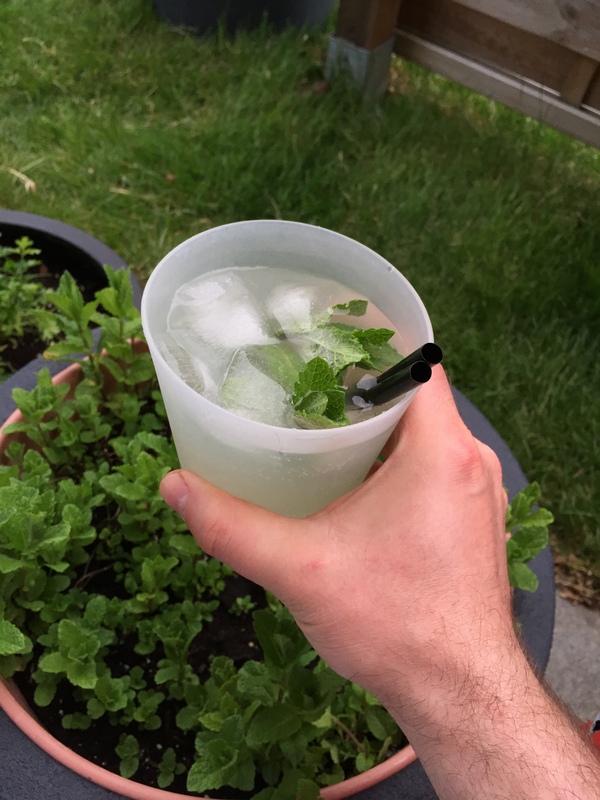 my boyfriend asks me a drink… too lazy to make a Mojito… let’s make a Sojito! 1 can of Limonata San Pellegrino ( this is my favourite Lemonade, it has a very nice Lemon taste). In the glasses put the Soju at the base. 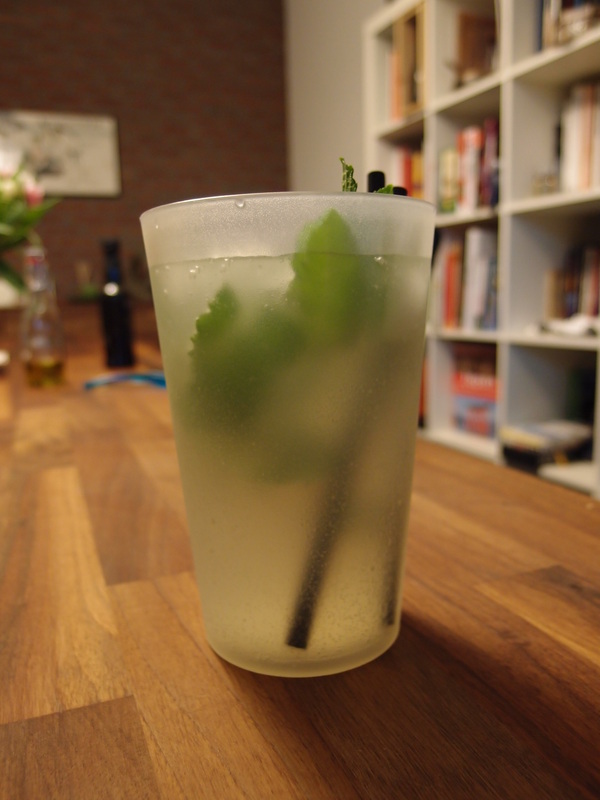 Add ice in both glasses and put some mint leaves. Add half the can of Limonata San Pellegrino in each glass. Fill up with water and it is ready to serve.